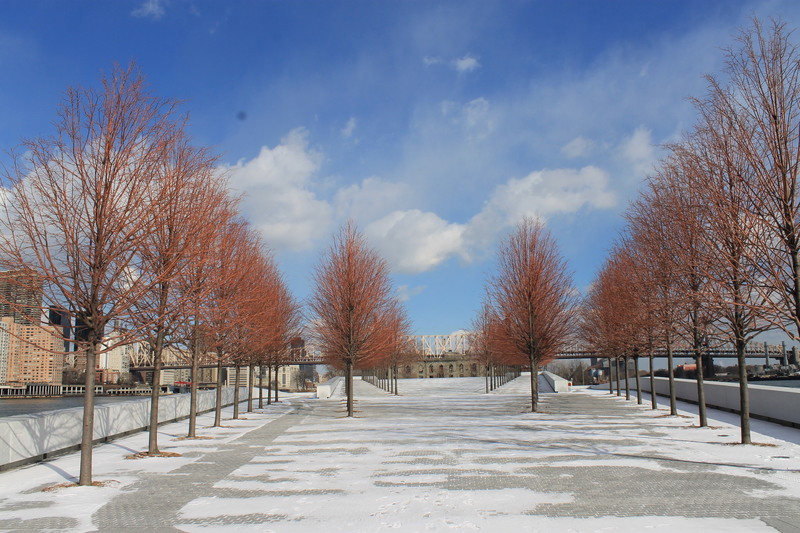 The Four Freedom Park Conservancy’s mission is to operate and maintain Four Freedoms Park, a public space dedicated to celebrating and honoring the life and legacy of President Franklin Roosevelt and the Four Freedoms through educational initiatives and public programming. I’m not into politics, nor do I care for politicians. I know next to nothing about my own country’s political history (and not even sure it’s worth worrying about considering the iPhone wasn’t even around yet the last time we had a prime minister run a full term), much less about a country on the other side of the world, no matter how big a world power they may be. For the most part, I don’t care. But those words up there hit me hard when I visited the FDR Four Freedoms Park in January; I was reminded of the concept of freedom (more so freedom from ourselves) writing this post on Wednesday night, and reminded again more specifically of the words themselves last week while I was putting together this article for Outlet Magazine. 75 years ago, in the midst of yet another world war (the speech was meant to help rally the American public against the threat of the Axis powers), this man had the strength and courage to speak up about the freedom that should be afforded to EVERYONE, EVERYWHERE IN THE WORLD. And what really got me, still gets me, is how relevant those freedoms are, today maybe even more so than when they were first expressed. Freedom of speech and expression: how many instances have we heard of in recent years where journalists have been made victims? Or even just regular every day people speaking out about their beliefs? Freedom to worship god in your own way: how many people are persecuted and killed over religious differences, not just every day, but every hour? Freedom from want: did you know that the 85 richest people in the world hold as much wealth as the 3.5 BILLION poorest? The park itself is beautiful; from the pictures I’ve seen, it’s bright and colourful in summer, but it was another level of stunning in winter. You can visit any day except Tuesdays, when it’s closed, and you can take the cable car over – it’s a gorgeous view looking over the city on your way across. Everything about the island was perfect, from the decrepit old smallpox hospital to the modern design of the island by Louis Kahn, it is magnificent. It doesn’t get the attention of Central Park or The Empire State Building, but as far as I’m concerned, it’s a must visit in New York City. And while you’re there, take a moment of peace to appreciate how fortunate you are to have at least had the freedom to travel to such a beautiful place.